Anchor: South Korea’s customs agency says North Korean coal and pig iron worth billions of won were smuggled into the South last year, in a potential violation of sanctions against Pyongyang. Report: The Korea Customs Service(KCS) on Friday held a news conference and unveiled the results of its probe on the illegal entry of North Korean coal into South Korea, some ten months after launching its investigation. According to the agency, three South Korean firms smuggled into the country a total of 35-thousand tons of North Korean coal and pig iron, valued at six-point-six billion won, between April and October of last year. 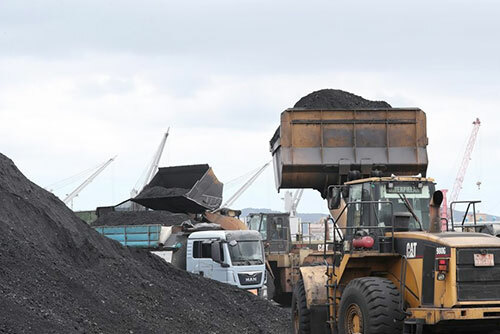 The KCS said the three companies illegally brought in the coal and pig iron after fabricating the certificate of origin to make it seem the resources were Russian. The resources were loaded onto another ship from ports in Russia before being brought to South Korea. The customs agency said the three companies believed that they would be able to pocket significant profit through such an operation with the price of North Korean coal slipping due to the embargo. The agency plans to recommend the prosecution indict the three companies and three other related entities. Earlier on Friday, the presidential office dismissed some media reports that raised concerns that the latest coal smuggling cases could spark conflict between Seoul and Washington. The top office said the two countries are handling the coal shipments issue based on cooperation and trust. U.S. State Department Spokesperson Heather Nauert said Thursday that South Korea is an ally and longstanding partner of the U.S., adding that the two countries are closely coordinating on the coal issue. She said the U.S. trusts South Korea’s statement that it will investigate the matter.